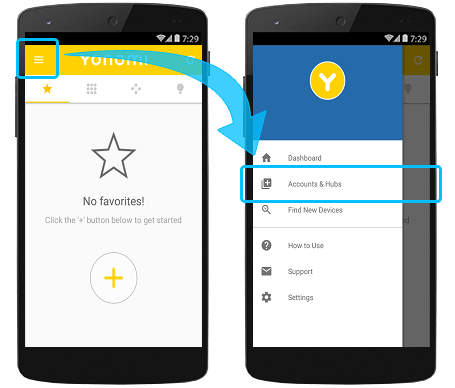 Download and install the Yonomi app for your iOS or Android device and create an account. Once you connect Harmony you can use Yonomi to trigger your Activities. Tap + in the upper right-hand corner and select Logitech Account. Sign into your Harmony account and press Connect. As you arrive home, Yonomi triggers your Watch TV activity, Sonos welcomes you home and your TV turns on to your favorite channel. Philips Hue lights adjusts to a warm setting and you're ready to relax. Tap Add Event + and select Location, by default I arrive home should be selected. Customize your action by swiping it to predefined options, or tapping the text to edit notifications. Once you're complete, tap ✓ in the upper right-hand corner. 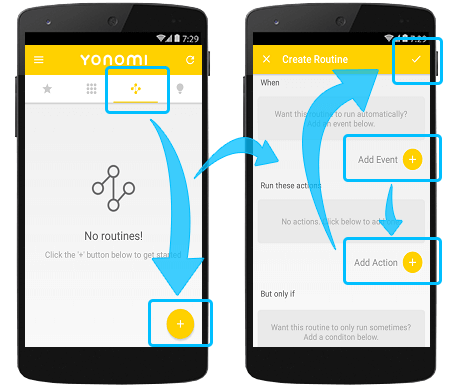 You'll be prompted to name your Routine and allow Yonomi to access your location. Select an icon and button color to save your Routine. When you leave for the day Yonomi powers off your lights and TV, triggers your August Smart Lock to secure your home, then powers down your Harmony hub. 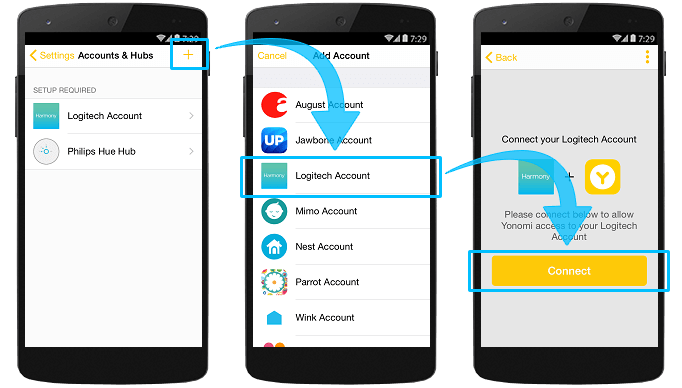 After connecting Harmony to Yonomi you'll be able to create Routines which can trigger Activities from any of your Harmony hub‑based products. If you have multiple Harmony hub‑based products, then all Activities will be displayed in a single list. Harmony only reveals a list of your Activities and a unique token that authenticates Yonomi to start and stop your Activities. 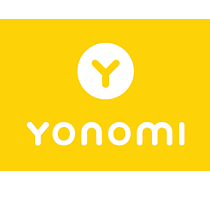 Yonomi does not have access to your name, email address, nor the devices in your Harmony Account. Harmony connects with the Yonomi servers, allowing you to trigger your Harmony Activities using the Yonomi mobile app.